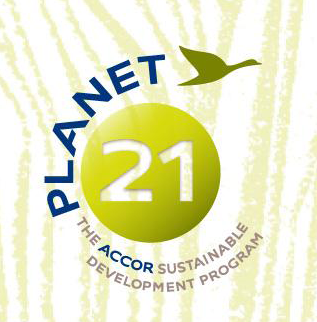 Accor have unveiled their Carbon Optimizer product for professional customers, which allows meeting and seminar organisers to discover and cut their events’ carbon footprint across Accor’s 2000+ venues. This interactive Carbon Optimizer combines a comprehensive set of variables, including the number of participants, the number of nights they plan to stay, how long the seminar will last, how big the meeting rooms are and the energy mix in the host country. It also factors in food services, i.e. the type of food and whether meals are buffets or table-served. Accor claim that this means this is a unique product in terms of its methodology – the calculators on the market often only measure emissions from production processes and energy consumption to power hotel equipment. Accor, however, includes indirect emissions associated with organizing seminars, i.e. waste treatment, paper and, especially, food which is a substantial source of carbon emissions. This way, customers will be able to choose menus based on their carbon footprint, and adopt more responsible choices. 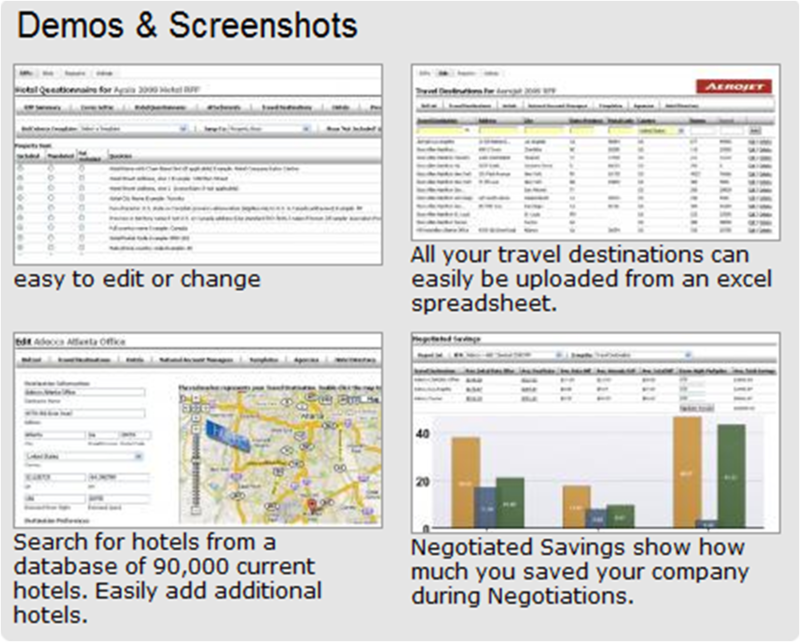 It is forecast that by the end of 2012, all Accor sales teams will have access to this tool to help their customers organize their seminars. For me, the requests from HBA and those in the MICE sector for carbon data peaked a couple of years ago and it had started to subside and become less important, particularly in RFP’s. I think that some even viewed this subject as something that they could “tick a box” to say they could do, in terms of providing some kind of estimated data, without actually worrying if it was accurate or could provide environmental benefit in any way. But this year, we have once again seen this topic rise to the top of corporates agendas and I think many events businesses do not know where to start, so will certainly welcome Accor’s leadership on this. 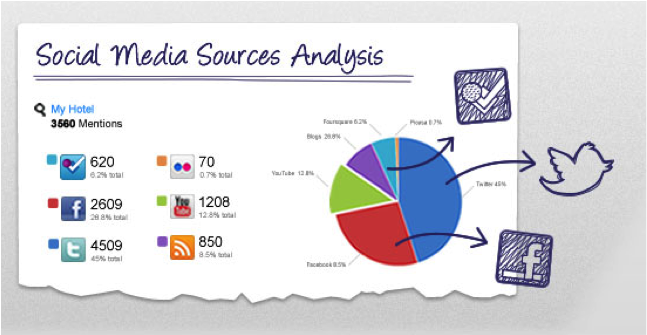 I’m often asked how independent hotels can monitor and respond effectively to online reviews of their hotel, both good and bad, as well as manage what people are saying about their property on social media channels such as Twitter and Facebook. ReviewPro is amongst the best (if not the best) way to do this. Here’s a short introduction video on the ways ReviewPro can help you. Pegasus Solutions have today announced the launch of their MetaSearch Services, a solution that allows hotels to capture direct bookings from metasearch results, and is now available to Pegasus’ 90,000 hotel customers. Launched today at ITB Berlin, the product has recently completed its beta pilot testing with several major hotel chains, during which Pegasus claims they achieved a return on investment of up to 5:1 for every US dollar spent. We often talk about how important the direct channel is to your hotel and using every opportunity to drive traffic back to your website and capture bookings. Of course, hotels need online travel agencies and GDS channels to gain maximum exposure, but real profit is driven by getting a high proportion of direct bookings too. MetaSearch Services seems to be a good way of achieving just this, and picking up additional direct bookings. With MetaSearch Services, Pegasus increases the revenue opportunity for hotels seeking business through online search by displaying and linking directly to hotel information, rate and availability in metasearch results. The product allows metasearch engines to shop hotels and travel suppliers through Pegasus, but sends the booking directly to the hotel chain or hotel website. I’d be interested to hear from anyone who has spoken to Pegasus about their new tool and is planning on using it for their hotel. This could be a really interesting tool for the industry. Sabre Travel Network offer three very interesting tools that could serve you in your RFP process, whether your reading this as a hotel, corporation or even travel agent. Sabre, one of the world’s largest Global Distribution Systems, offer many hospitality products and services to our industry, from hotel distribution to representation, but in particular, I wanted to present to you their tools to help aid the RFP process. For those who are not familiar with this term, RFP stands for request for proposal, and is the process where you negotiate what your preferred inventory partner and rates are for the following year, typically taking place in the last three months of the year. This is quite a labour intensive process and many hotels are actually frustrated with the process and it’s more often than not spoken about at all the major hotel conferences around the world. The process is not as simple as that though. Even today, many of these negotiations happen via fax, and the documents sent to hotels can contain many questions, ranging from rate inclusions to property information, such as “does your property have a lift, disabled rooms, restaurants etc. Alternatively, I believe there is also a more automated way to send the request via Lanyon, but I don;t have personal experience of this. The main problem that is always raised is that too many requests are sent to too many hotels. For this reason, and with so many requests, you often hear that so many hotels either don’t respond to the RFP, or it comes back to the corporation / agency far too late. Hotels want to respond, as it’s a key way to ensure they retail loyal customers and fill their rooms for the following year. But as you can tell, the process is lengthy and often time consuming. Imagine you’re an independent city-centre hotel and how many RFP requests you could receive in that three month period! Sabre have three solutions aimed at helping the process, so if your involved in RFP’s and haven’t heard of this, the take a look. I’;ve taken some of the text below from Sabre’s website, which also hosts short video presentations on the products, which you can access by clicking here. Sabre Hotel RFP – For Hotels: This is an automated notification service that generates qualified leads from hundreds of Fortune 500 companies aimed at unlocking new opportunities for hoteliers of all sizes. More than 700 corporate travel managers and agencies use Sabre Hotel RFP, representing more than 4.5 million room nights in 2009. Today, you only respond to RFPs if the corporation specifically requests your property. But with Hotel RFP, you can compete even if you weren’t selected. 90% of corporate Hotel RFP users choose to receive responses from qualified hotels not initially considered. Sabre Hotel RFP – For Corporations & Travel Agencies: Travel professionals can quickly and easily assemble an RFP package that is compliant with the standards issued by the National Business Travel Association. As a corporate travel buyer, you can source and map hotels in proximity to relevant travel destinations, deliver the RFP package, interactively negotiate rates and create final contracts. If you have personal experience of using Sabre’s tools or any other you have to help with this process, please leave a comment, it would be great to share experiences. How has the process worked for you this year? We know how powerful TripAdvisor can be to your hotel, so it’s key that you ensure you are registered as the owner of the property. Take a look at this video if you’re in any doubt.